Discover 24 days of festive content – What lies behind door number 16? Christmas time is the perfect excuse to binge watch some of your favourite tv shows! The problem I usually have is that I’m just rewatching shows I have on DVD, but Netflix has us covered. Here are 16 Netflix originals you should be watching! If Daredevil just isn’t enough Marvel action for you, then you’re in luck: Marvel’s Jessica Jones has your covered. The plot: After wrapping up a lucrative superhero career, Jessica Jones opens her own detective agency. A star-studded (holiday) special that only the legendary Bill Murray could pull off. Murray worries no one will show up to his T.V. show due to a terrible snowstorm in New York City. Joined by a huge array of celebrity guest appearances including but not limited to : Miley Cyrus, George Clooney, Chris Rock, Amy Poehler And Michael Cera, this festive comical celebration is truly brilliant. Adam Sandler welcomes Rob Schneider, Steve Buscemi, Taylor Lautner, Terry Crews, and more for this western comedy. White Knife, an orphan raised by Native Americans, discovers that five outlaws are actually his half-brothers. Together, they set out to save their wayward father. 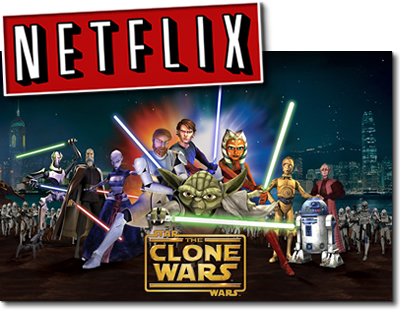 This animated series started elsewhere but finished its strong run with a sixth season only on Netflix. The Grand Army of the Republic, led by Yoda, Mace Windu, Obi-Wan Kenobi, Anakin Skywalker and other Jedi Knights, fights the New Droid Army of the Separatists. Wet Hot American Summer is a lost gem, launching the career of the mighty Amy Poehler. An all-star cast helped turn the film into a cult classic. Now everyone from the original cast return for a hilarious eight-episode prequel, Wet Hot American Summer: First Day of Camp. Follow the counselors and campers on their first day at Camp Firewood in the summer of 1981. The Bluths are back! If you thought you had seen the last of the Bluth family, you’d be sorely mistaken. Netflix is planning on bringing back Arrested Development for a fifth, 17 part season. What will this season bring our favourite dysfunctional family? The Borgia depicts the medieval dynasty’s bloody rise to power with greater verve and historical accuracy than the beloved show has in the past. I couldn’t very well put a Netflix list together and not include our favorite ladies over in Litchfield now could I? ‘The story of Piper Chapman, a woman in her thirties who is sentenced to fifteen months in prison after being convicted of a decade old crime of transporting money to her drug-dealing girlfriend.’ – but we all know it’s so much more, don’t we? A psychological thriller that examines the lives of two hunters. 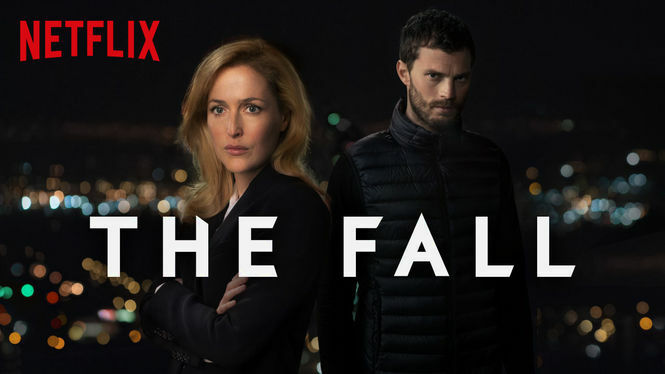 One is a serial killer who stalks his victims in and around Belfast and the other is a talented Detective Superintendent from the MET who is brought in to catch him. Gillian Anderson nuff said. It’s like the Good Wife meets Veep. Only not as good as either. Still worth a watch, though. Based on the book by Brian McGreevy and executive produced by acclaimed horror master Eli Roth, Hemlock Grove revolves around the eccentric residents of a dilapidated steel town and the events surrounding the brutal murder of a teenage girl. But in a town where everyone hides a secret, will they find the monster among them? From the producers of 30 Rock, Tina Fey brings us Ellie Kemper from The Office(US.) Rescued after 15 years in a cult, Kimmy Schmidt decides to reclaim her life by venturing to New York, where she experiences everyday life with wide-eyed enthusiasm. On a whim, she rents a room from Titus, a gay wannabe Broadway actor, who makes ends meet as a street performer in Times Square. The unlikely pair finds they’re well-suited to help each other out, with Titus reintroducing Kimmy to modern life, and her providing him with the inspiration that you should never give up. Together they’ll make it through whatever life throws at them. Eight strangers around the globe find themselves connected — first by a violent vision, then by their shared ability to connect with one another’s thoughts and actions, and finally by the urgent need to find out what happened and why. Jessica Jones is amazing, you should definitely give it a go.